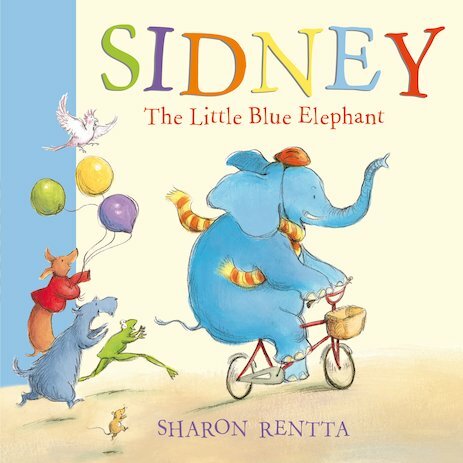 Sidney the elephant is having a spot of bother. All his friends know how to ride a bicycle – but he doesn’t! He’s too shy to admit his secret, which means that none of his friends can help. But after a splosh and thump and a wobble, Sidney discovers that riding a bike is easy – when you’ve got good friends! A touching and funny tale of friendship and coping with obstacles, which encourages young children to share problems and discuss their feelings openly. AD450L Lexiles are the global standard in reading assessment. They are unique as they are able to measure a child and a book on the same scale – ensuring the right book gets to the right child at the right time. I love elephants so will be buying this book and the story sounds nice too.